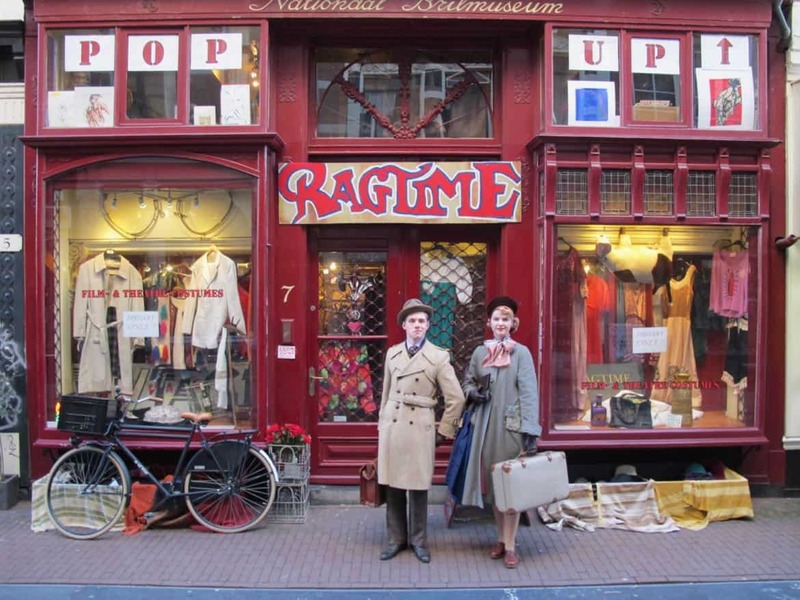 Amsterdam’s 9 Streets Shopping District is a cosy area with a wonderful mix of small shops. The small, cobbled side streets start near Dam Square and run outwards the 17th century canal belt. The 9 streets connect the 4 canals: Singel, Keizersgracht, Herengracht and Prinsengracht up until the Jordaan. The area is loaded with designer boutiques, vintage stores, art galleries, quirky gift shops, jewelry and artisan shops, beauty and cosmetics and many delicious lunch rooms, fine restaurants, cosy Amsterdam cafés and laid back bars. Amsterdam’s 9 Streets Shopping District lies between the old centre and the Amsterdam Jordaan Quarter. Map of the 9 streets shopping area in Amsterdam. The 9 streets were created in the 17th century as connecting streets between the canals of the 17th century canal belt. The Amsterdam canal belt is composed of 4 rings of canals, shaped like a half moon. The canal district is part of the UNESCO World Heritage List. The canals are: Singel, Herengracht, Keizersgracht, and Prinsengracht. The houses lined along these famous Amsterdam canals were built created as family homes. Rich merchants lived in these beautiful Amsterdam canal houses, rich in architectural styles and decorated facades. The 4 canals are connected by smaller side streets. In these streets little businesses and shops were located, shops where the rich merchants did their shopping. The shop houses were small and cosy. Bigger workshops and smelly business took place in the Jordaan Quarter, but in the 9 streets, many shops were specialized in leather and skintanning. You can still see this in the names of the streets. For example: Huidenstraat=skinstreet, Reestraat=deer street, Berenstraat=bear street. Walking around the 9 streets, you can still feel the atmosphere of the past. The small streets, pretty archway bridges, lit at night, cosy facades, small business owners cleaning their windows. It feels like you back in the busy 17th century. In recent years, prices of rent for the businesses have gone up and more expansive brand shops have entered. But there are still lot of crazy gift shops, unpretentious lunch rooms and Dutch cafés, art galleries and vintage shops. Map of Amsterdam's 9 streets shopping district.